> they did so could only undermine the deception. > (imaginary) forgers do this? The question is. Trying to establish whether or not the cartouche does or even can extend down and behind the granite beam. 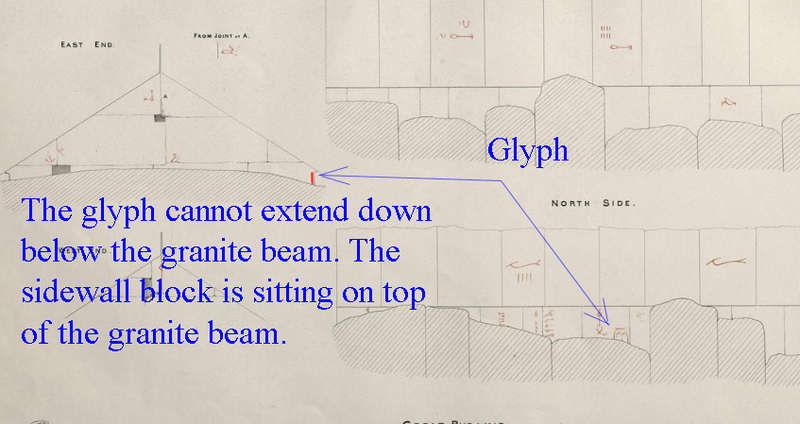 If the limestone sidewall block and thus the half cartouche is sitting on top of the granite beam as per the Perring drawing. There being, according to the Perring drawing no limestone sidewall block concealed behind the granite beam. 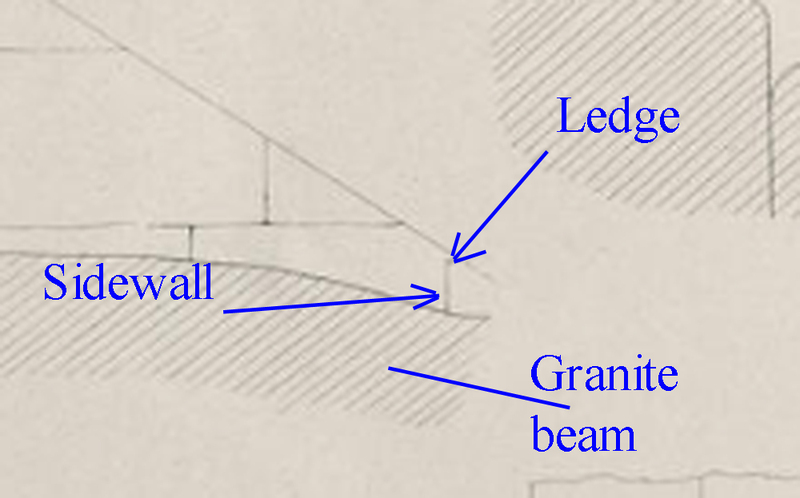 The granite beam penetrating the sidewall. Why would the AE have painted only the second half of a cartouche at the lower extremity of the sidewall block? According to the Perring drawing. Is the Perring drawing accurate? Edited 2 time(s). Last edit at 14-Mar-17 16:04 by Jon Ellison.